HubSpot is an all-in-one marketing tool that offers marketing, sales, and CRM software. It has everything you need to increase traffic, convert leads, prove ROI, and last but not least, create an amazing user experience for your customers. But you’re already busy enough as it is. How are you going to find the time to teach yourself this new tool, not to mention manage it? You need a team of experts to partner with - that can teach you the ropes but also manage HubSpot for you so you can focus on all of your other responsibilities. ROI Online is a certified HubSpot agency and a HubSpot Platinum Partner. We will manage HubSpot for you, but we’ll also educate you on HubSpot’s tools so you and your team can utilize them as well. Our agency is a HubSpot value added reseller (VAR). Everyone on our team is HubSpot and Inbound certified. Together, we have more than 20 HubSpot certifications, from content marketing and email marketing to growth-driven design and sales. 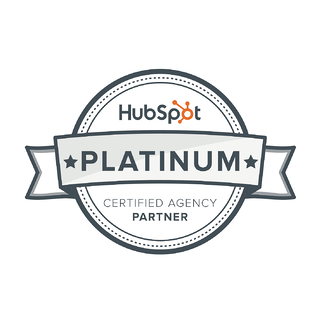 "I'm tremendously excited ROI Online is a Platinum HubSpot Partner. They've done a great job promoting the benefits and value of inbound marketing in their space and have been able to consistently bring on new clients and improve ROI for their customers. I look forward to their continued success and the progress they will make for their clients." You’ll be able to see for yourself how much your business is growing. And what’s amazing is that HubSpot is working all the time so you don’t have to! That’s the beauty of marketing automation. HubSpot’s Sales Tool takes sales to an entirely different level. HubSpot offers a free version as well as a pro version based on your company’s budget and needs. With HubSpot Sales, you can focus more of your time and energy on making deals rather than entering data. You receive notifications when leads interact with your brand, like when they download an offer, click a link or open an email. This allows you to focus on leads that matter, connect with them and ultimately turn them into customers. In addition, the Sales Tool’s scheduling feature allows you to provide your availability for meetings and send customized links that let people choose a time that works for both of you. The Sales Tool not only expertly organizes your sales activities and tracks interactions, but most importantly, it also saves you time. With the HubSpot CRM, it’s easy to organize, track and nurture your leads and customers. Long gone are the days of confusing spreadsheets, overloaded inboxes and complex tools. HubSpot’s CRM eliminates the need for these by automating tasks for your salespeople. Essentially, it saves you time, hassle and headaches. The CRM allows you to efficiently manage your sales pipeline and makes the lives of your sales team easier. It automatically tracks interactions with leads and customers from emails, social media and more. It also shows deals on your dashboard, so you have all the information you need in one place. On the dashboard, you can view real-time data, such as deals won and lost, scheduled appointments, contracts, etc. You can also sort deals with filters. What’s even better is HubSpot’s CRM is also free for up to 1,000,000 contacts, users, and storage. When you combine HubSpot Sales, CRM, and Marketing Automation, you get the perfect sales sidekick. Pretend you’re a professional golfer. Every professional golfer needs a caddy because the caddy supports and works with the golfer to improve their game. Without a caddy, the golfer is at huge disadvantage. HubSpot can be your awesome sales caddy, always providing you with hot leads and important data, and helping you set up sales meetings and marketing materials. 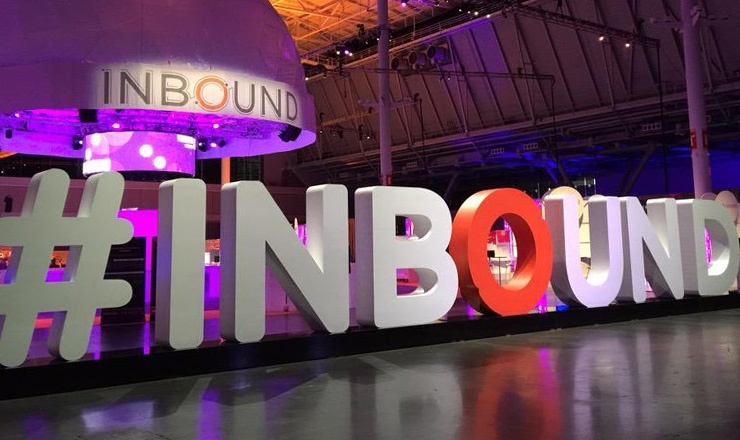 Each year, we attend HubSpot’s annual Inbound Conference in Boston to stay on top of the latest industry trends, inbound marketing tools and techniques. As a HubSpot Certified Agency, ROI Online can help your business succeed. Interested in implementing HubSpot at your business? Contact us for a FREE strategy session! HubSpot has helped hundreds of businesses just like yours grow — including ours! We’d love to show you how HubSpot can benefit your business.